Do you need a translation of your paper, conference abstract, poster, presentation, report, summary of professional achievements or grant application? We cooperate with highly qualified specialists in translation (M.A. in translation studies) or linguistics with perennial experience in translating texts within a particular area (medicine, technology, philosophy and many others). We also work closely with medical doctors and PhD level scientists who can provide an accurate translation using the appropriate medical terminology. Proofreaders are approved and regularly quality assessed by our team and Head of Scientific Proofreading, dr hab. Mark J. Hunt. We treat each manuscript individually and select the most appropriate translator based on the content. We ensure a short turnaround time and quick replies to all your emails. If you require a fast turnaround time, we are usually able to provide express proofreading and translations. We always aim to satisfy our customer needs for both translations and proofreading. We are constantly improving our services and your feedback is essential for our continued success. We only work with translators who are experienced in translating academic and scientific texts. Furthermore, we constantly assess the quality of our translators to ensure that we continue to provide a high quality service. Our translators are graduates of specialist studies, such as medicine, constructions, IT, biology, etc. They are very familiar with specialist vocabulary used in the field as well as the style applied in a particular text type.  We have successfully delivered translations in the areas such as cardiology, neurology, oncology, psychology, physical therapy and health sciences, quantum physics, nuclear chemistry, medical chemistry, analytical chemistry, pharmacology, biocybernetics, geology, engineering and mechanical engineering, materials engineering, IT, mathematics, biotechnology, molecular and environmental biology, forestry, ecology, economy, marketing and management, law, theology, philosophy, musicology, art, linguistics, etc. Our translators are able to handle various text formats (including Word, PDF, InCopy, LaTex). For translations into all European and many other languages we recommend contacting our business partner – MD Online. They have substantial experience delivering translations in a number of languages spoken around the world. Jagiellonian University, University of Warsaw, Warsaw University of Technology, Silesian University of Technology, West Pomeranian University of Technology in Szczecin, Maritime University of Szczecin, numerous medical universities, such as the Medical University of Białystok, Medical University of Warsaw and Poznan University of Medical Sciences. We recurrently cooperate with research institutions such as Nencki Institute of Experimental Biology, Forest Research Institute, National Institute of Tuberculosis and Lung Diseases, Institute of Cognitive and Behavioral Neuroscience, Nalecz Institute of Biocybernetics and Biomedical Engineering or the Institute of Nuclear Chemistry and Technology. We pride ourselves in the big number of recurring and satisfied customers, which confirms the high quality of our services. A vast number of articles we translated have been published in prestigious academic journals, including PlosOne, Frontiers in Human Neuroscience, Journal of Neuroscience Research, European Journal of Pharmacology, Journal of Cardiovascular Pharmacology, Retina, Carbon, Baltic Forestry, Springer group journals and many more. If you would like to receive updates on the most recent eCORRECTOR guidebooks and latest materials on scientific writing, please leave your e-mail.